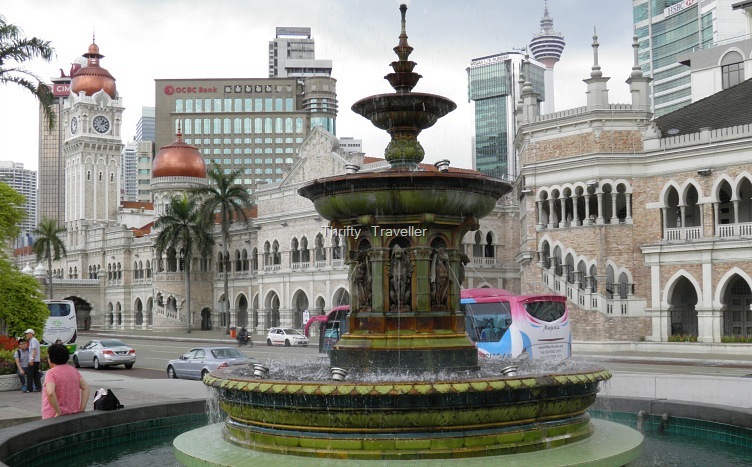 I have never paid much attention to the Queen Victoria Fountain on previous visits to Merdeka Square, preferring instead to focus on the magnificent copper-domed Sultan Abdul Samad Building and the other elegant landmarks nearby. The fountain was sent out from Britain to commemorate Queen Victoria’s diamond jubilee in 1897 but apparently was not assembled on site until 1904, by which time Victoria had already died. The delay might have been because it was originally intended to be located in Market Square but the police thought it would cause a traffic obstruction so it was set up on the padang instead, close to Chartered Bank. It’s commendable that KL Municipality has preserved the fountain in working order for the past 110 years but I can’t say it is an object of great beauty. 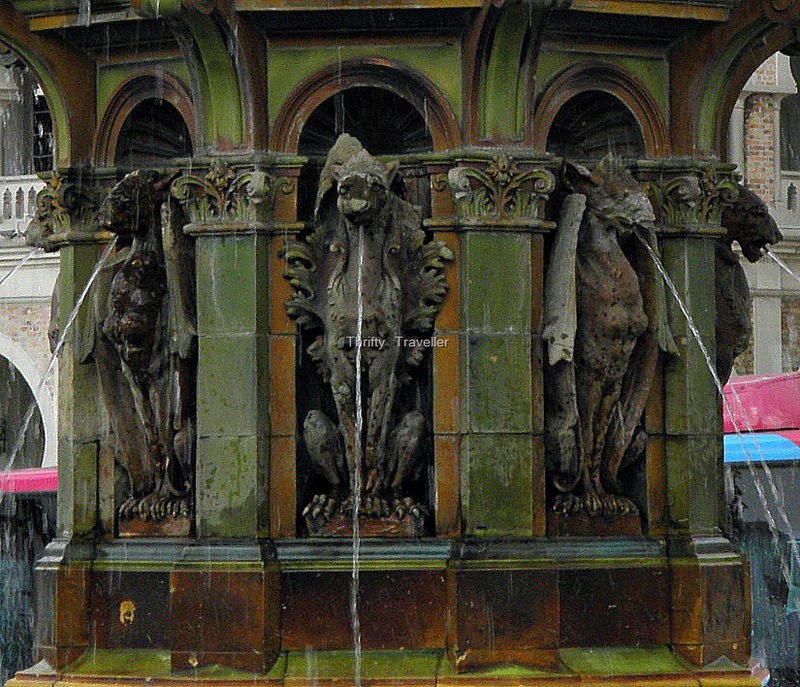 The green tiles are reminiscent of a Victorian public toilet and the eight statues in the fountain’s base are just plain ugly. Some guide books refer to these creatures as ‘winged lions’. On closer inspection, they don’t look much like lions. More like gryphons, the heraldic beasts of the City of London, with dragons’ wings, knobbly torsos and fishy faces. 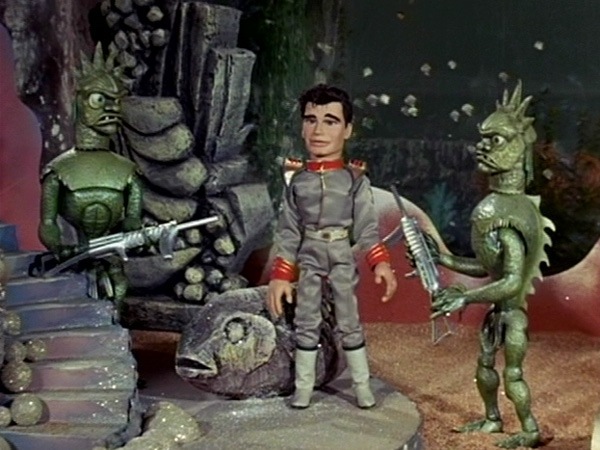 They remind me of the scary monsters in the episode of Fireball XL5 (or was it Stingray?) that frightened me so much as a child that I had to hide behind the sofa! The shape of the top of the fountain bears some resemblance to KL Tower and blends in well with the city skyline.